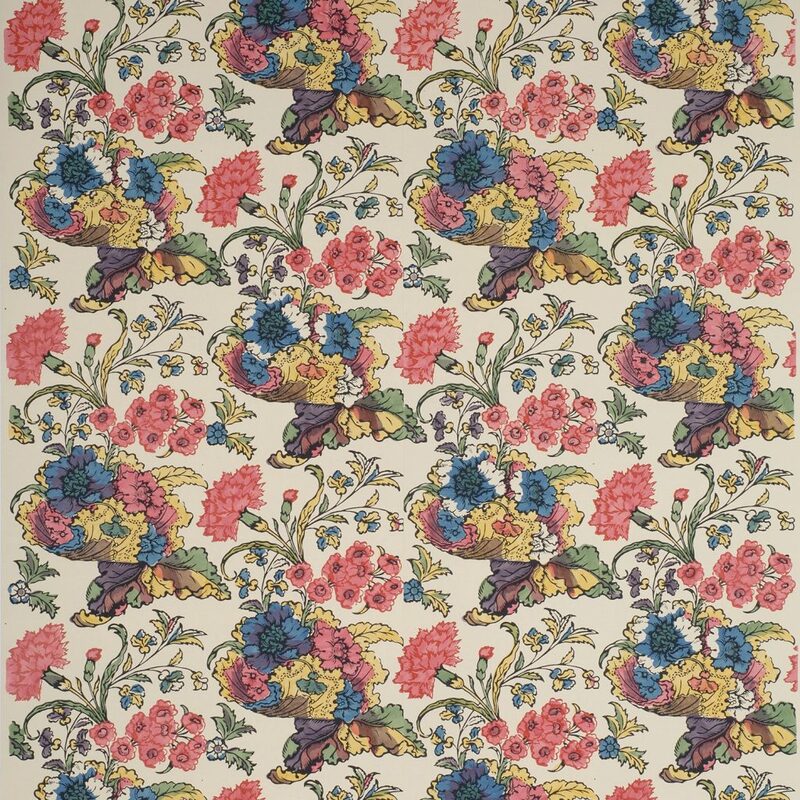 Carnations and Shells may well be the earliest complete repeats of a wallpaper motif found in situ in the United States. There are two samples of it in the Historic New England archives, one from the Cowing House in Weymouth, Massachusetts, and a larger sample with “Whipple House” scribbled on the back. The Whipple House in Ipswich, Massachusetts was constructed as early as the 1630s. In 1721 Mary Whipple Crocker aged 38 married and inherited the house upon the death of her father. The installation of the paper could date from a redecoration that took place soon thereafter, perhaps in 1725. After Mary’s death her widower, Benjamin Crocker, married a 44-year old woman named Experience Coolidge in 1736. The installation of the paper could also date from this slightly later period. The pattern is characteristic of the very early rococo with an asymmetrical composition focused around a shell. Although it lacks the precision and refinement of the late rococo, it is nevertheless a dramatic and engaging pattern. 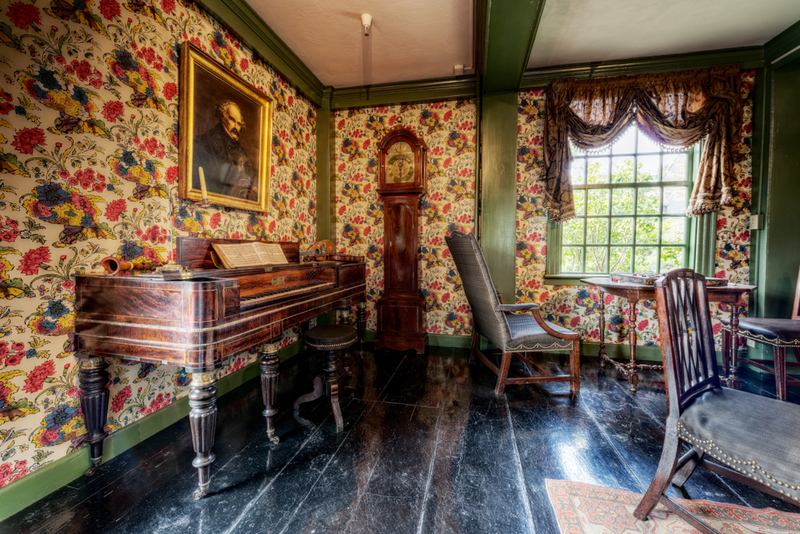 It was designed before wallpaper printers had mastered the technology of printing large areas of color. Instead, these areas were hand stenciled, a very labor intensive process. The delicate black and red outlines were then block printed. Carnations and Shells is remarkable for both its exuberant design and bold use of translucent color. It is an extraordinary example of the early 18th century paperstainer’s craft. The reproduction was commissioned by the House of the Seven Gables in Salem, Massachusetts. Imperial Measurements: Repeat 18¾ inches, width 21½ inches, length 11 yards, half-drop match. Metric Measurements: 47.6 cm, 54.0 cm, 10 m.